According to a study done by the Harvard Health Watch, if you are an average American, you will spend 101 minutes per day driving. That’s 33,936 minutes per year or over 500 hours. So we asked truck drivers, the experts on the road, what they do to make the miles fly. Not surprising, audiobooks came up high. Audiobooks have long proven themselves a great way to read a book without having to actually “read” it. Perhaps when audiobooks first appeared on the marketplace, this was not the case, as they were abridged, meaning a shortened version of the book which could very often leave out important parts of the story. But today, virtually all audiobooks are UNabridged, and so you get the full story, exactly how the author intended it. 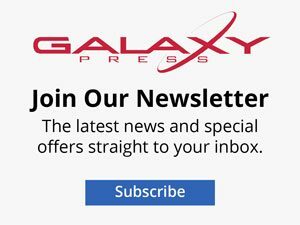 They have also become one of the fastest growing formats with an 18% increase in sales ($) volume and 34% increase in units sold just in the past year. 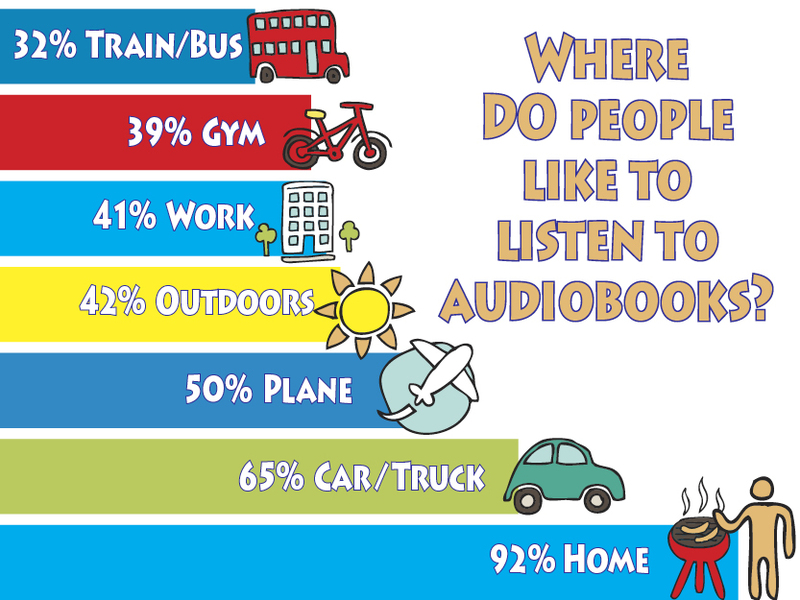 So as the industry changes, we thought we would check out where people who love audiobooks like to listen to them. A recent study done by Edison Research found that frequent listeners enjoy audiobooks: at home (92%), in their car/truck (65%), on a plane (50%), outdoors (42%), at work (41%), in the gym (39%), on a train/bus (32%) and other locations (34%). 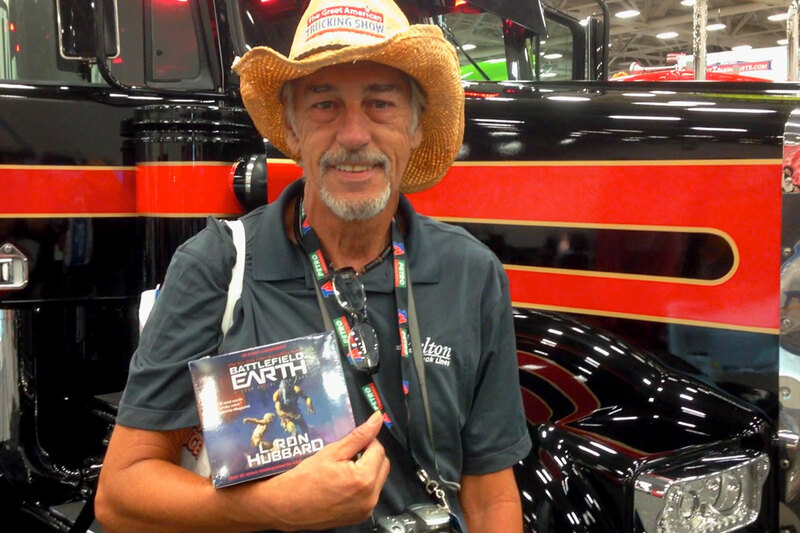 At The Great American Trucking Show we talked to truckers to find out what makes audiobooks so important to them—and specifically what makes Battlefield Earth so popular. Battlefield Earth, the New York Times bestselling novel, clocks in at 47½ hours of non-stop adventure. And that’s a lot of miles on the road.